Every SaaS app in the world sends out welcome emails. Some are awesome, some are not. Last spring we reached the point where we could no longer manually send customized welcome emails. However, we really didn't like the idea of sending the same bland generic email to all of our new users. We have three distinct user types (engineering, marketing, and sales), and using the same language and call to action seemed like such a waste. Luckily we found a solution in our own data. 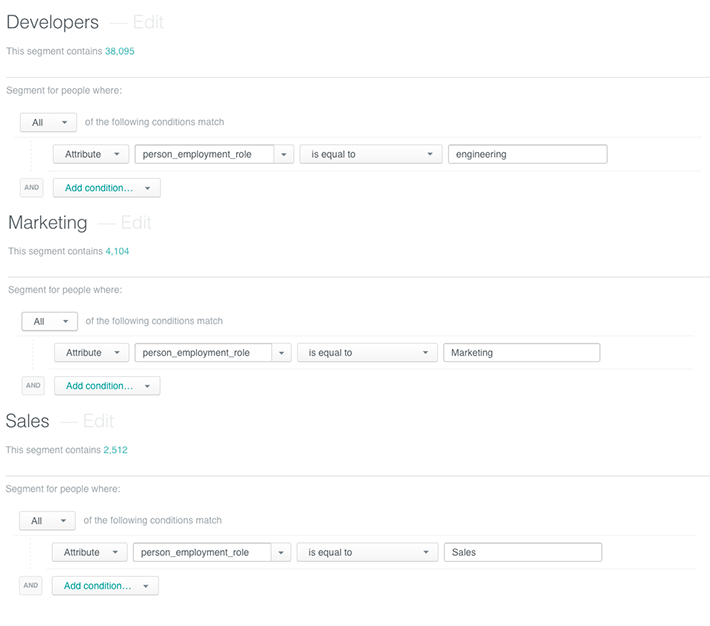 We built a relatively complex set of rules that looked for keywords in the Enrichment results for each new user. 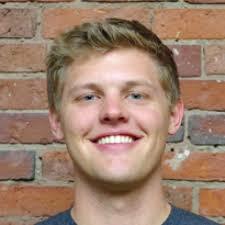 For example: If alex@clearbit.com signed up, we would look at his title, bio and social handles. If any of these fields contained one of the 70 keywords or patterns in our engineering rules, we would categorize Alex and send him our engineering welcome email vs. the sales or marketing focused ones. Then we thought, why not standardize this and bake it into our APIs for everyone to use? With our recent addition of Role and Seniority to our Enrichment APIs we've done exactly that, taking that keyword recognition & pattern analysis, baking it right into the API response. Here's how it works: send us an email address and we'll include a standardized role and seniority attributes in the JSON response. Here's a full list of the mappings. When we see a signup with role=engineering we make sure our initial communication is developer focused and optimized for making the first API call. Conversely, when we see signups from role=sales or role=marketing we've found a majority of the questions arise around our integrations and productivity tools. In this case our email comes with some great sales/marketing use-cases and then offers a quick voice or video chat (if they're into that kind of thing). All of this is handled with a few simple rules set up in Customer.io. To see this in action on your account, first make sure your API keys are up to date here then go ahead and make a few calls!